Enjoy a stay like no other at our full-service hotel with a pool in Victoria, boasting a full athletic club, upscale restaurant, lounge and café, and 10,000 square feet of event space. 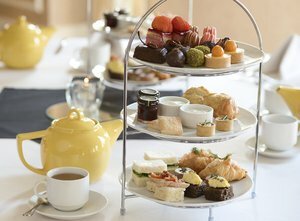 Hotel Grand Pacific is best described as a lifestyle hotel and we offer a variety of different services ranging from our West Coast afternoon tea, through daily yoga classes, to casual or elegant dining options paired with an award-winning wine list. Our service team is at the ready to help you with any request, ensuring your stay is unique and memorable. 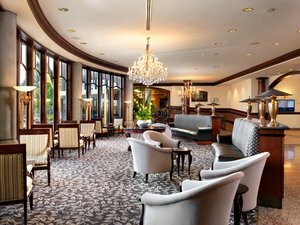 Tell us what we can do to personalize your stay, and let us show you why the Hotel Grand Pacific is the perfect hotel choice for your next visit to Victoria, BC. 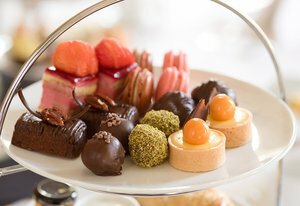 Indulge with an added treat or surprise your guest staying at Hotel Grand Pacific! Our Amenity Menu has everything from chocolate covered strawberries to bubbly. Call our Reservations Team 250.386.0450 to pre-order. 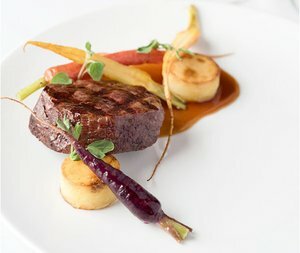 A gem among restaurants in Victoria, The Pacific’s culinary team, led by Executive Chef Rick Choy, has created a menu of bistro-style dishes that showcase both high-quality regional ingredients and classic techniques. Our in-house sommeliers present an award-winning wine program, along with a well-curated list of beers, ciders, cocktails, and spirits to perfectly complement your meal. As a truly family-friendly property, the Pacific Restaurant has a special kids’ menu. Similar to the Pacific’s other offerings, the dishes on our children’s menu are made from scratch with high-quality ingredients, but are designed to tempt the taste buds of the youngest members of your family. Our friendly staff are here to assist with any and all guest requests. Looking to drop off dry cleaning, store your luggage, or ask about late check-out? Just drop by our front desk! Our concierge service is also here to help and offer local recommendations on what’s happening in the city. Click here to email our concierge. Other services at the front desk: valet parking and complimentary copies of the Globe & Mail and Times Colonist. 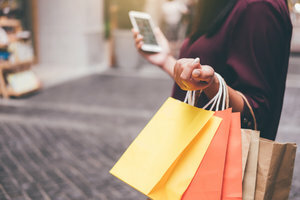 Stay connected at our 24/7 business center or with our complimentary high-speed Wi-Fi. 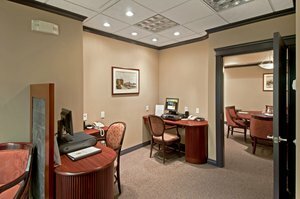 Our business center requires guest fob key access and contains two computers with the Microsoft Office package and a printer. Print your plane tickets or prepare slides for your morning meeting with ease. Wander outside and enjoy a picturesque view of the Olympic Mountains and Victoria’s Inner Harbour across the street. Our well-manicured grounds feature a mirrored pond with man-made waterfalls, creating the most peaceful and tranquil environment. Relax outside on patio furniture for a breath of fresh air. 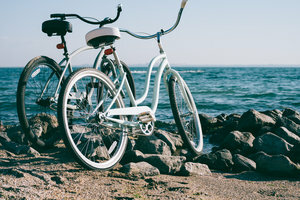 Explore neighbourhoods around our hotel on our Electra "Loft 3i" cruiser bikes for up to 2.5 hours, free of charge. These complimentary bikes can be reserved up to 24 hours in advance, and come with helmets and locks. Program operates seasonally, so please inquire on availability. 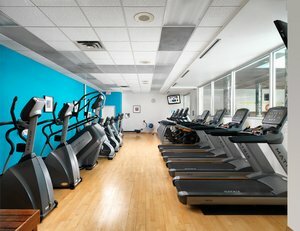 Discover our extensive health club, featuring a 25-metre lap pool heated to 82–83˚F and fitness center complete with Matrix Cardio equipment and Paramount strength training equipment. 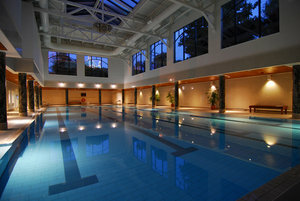 Popular amongst locals, guests, and even Olympic athletes, our hotel with a pool in Victoria offers a full-service fitness facility that’s unlike any other property. Discover fresh and upscale Pacific Northwest cuisine at our on-site eateries. Indulge in multiple courses of local bistro fare at the Pacific Restaurant. We recommend the Pacific Fondue or West Coast Afternoon Tea. Host a small team meeting or a magnificent banquet for 200 in one of our eight venues! 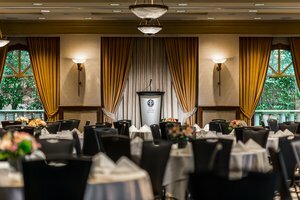 Bursting with natural light, delicious on-site catering, state-of-the-art audiovisual services, and five-star customer care, the Hotel Grand Pacific is the perfect setting for your next event. Satisfy your craving for sweet or salty snacks with a stop at our on-site gift shop. Our east lobby shop holds a variety of conveniences, such as snacks, toiletries, and local souvenirs and apparel. Travelling with your furry friend? Pre-order your Pampered Pooch Package and treat your dog to a memorable stay in one of our pet-friendly rooms. 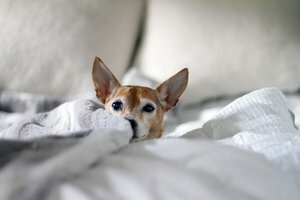 The $50.00 non-refundable fee (for up to 7 nights) will be added to the cost of your stay and includes a plush doggy-bed, food and water bowls, all natural organic doggie treats, disposable doggie clean-up kit, and more. 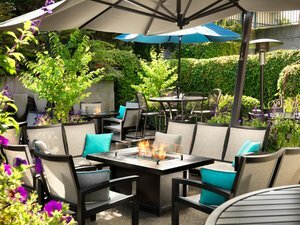 Book your stay at our full-service hotel with a pool in Victoria, British Columbia today.